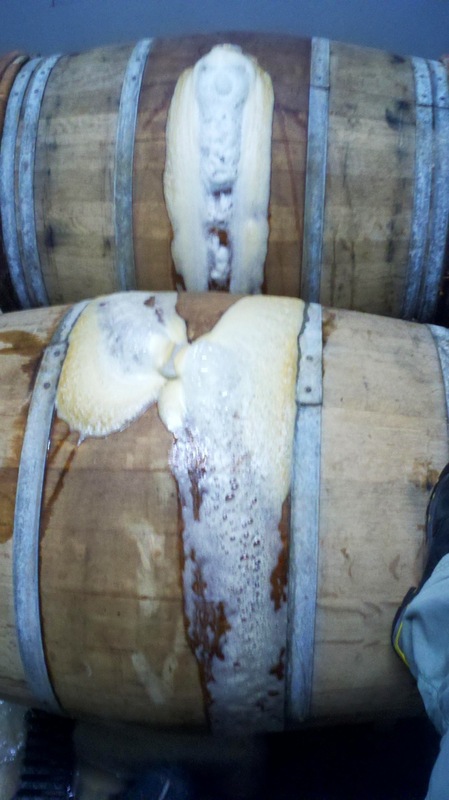 Just about a month ago Russian River Brewing hit us with these 2 huge bits of news. 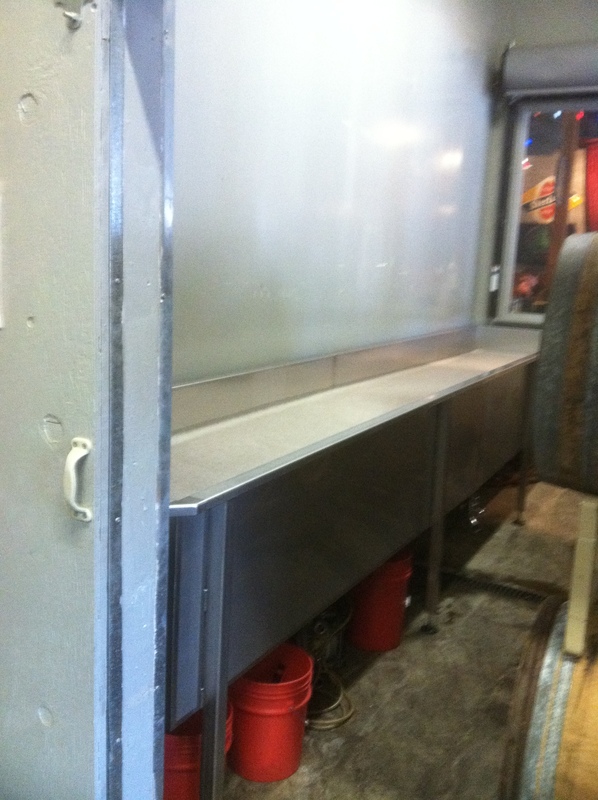 First was the releases of Beatification batches 4 and 5…but I thought the neatest news was the installation of a “Coolship” (a shallow pan used to cool wort while inoculating the wort with natural yeasts and other microbes). So on December 29th I asked Vinnie about Russian River’s newest piece of equipment…. The Horny Tank ! ETF-How long have you been planning on installing a coolship? Vinnie- The cool ship / horny tank idea has been in the back of my head for 5 or 6 years now, we just didn’t have the money or time to deal with it. Earlier this year I got serious about it and moved forward with the project. A part of why it worked now is that we have a second barrel room now at our production brewery making a total of three barrel rooms. This gave us the room to give up space in the barrel room at the pub for the horny tank. 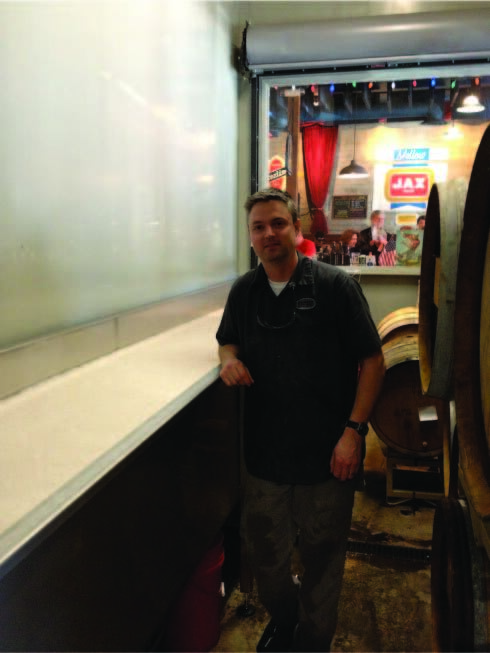 ETF-You brewed your first batch a few days ago using the Coolship…how did it work for your process? How much does it change your brew day? Vinnie- Yes, it was the day after Christmas we brewed into (the Coolship). We follow a pretty traditional Lambic style recipe, we call it Sonambic (Sonoma and Lambic contracted together). The recipe is 70% barley malt and 30% un-malted wheat and we use aged hops in the kettle. As for process, we are trying different things and most importantly trying different temperatures going into the horny tank. Of course it will be years before we see the full effect of the different temperatures so it is hard to say how the flavors will differ from batch to batch. Compared to how we use to spontaneously ferment I can’t say either if it will be different. The process using the horny tank is much easier than how we did it before where we employed our mash tun as a horny tank after we removed the spent grain and rinsed it out. ETF-The wort you used on the Coolship…is this going to end up as a new beer or another way of producing one of the beers you already make? Vinnie-We have brewed three batches into the horny tank and it is the same recipe as previous for Sonambic. Once barrel aged and tasting good, we blend different batches of Sonambic to make Beatification. We do plan on making a new beer that we would send to the horny tank, let sit for a day or two to pick up the bugs and critters in the room and then hit it with some Brett and or other yeast and let it ferment in the tank. This way, we’d get some of the bacteria working but, a full fermentation and maybe create some sort of new mildly sour beer. We’ll see where it goes. ETF- After all the planning and all the preparation, when the first batch brew day was done can you describe how you felt? Vinnie-You know, the brewing part was easy, it was obviously cool to see the horny tank full, but, the real anguish starts once the beer goes in the barrels and you wait for the beer to start fermenting. Another item that we will continue to play with along with the temperature in which the wort was when it filled the tank is how long we let it sit in the horny tank before filling barrels. ETF- Any chance we might see a release of a straight up “Sonambic” one day? Vinnie- It is hard to say if we’ll do a straight Sonambic, I guess if we find a batch we like a bunch. So there you have it folks, some very cool new stuff happening at Russian River. I’m sure your taste buds are going nuts right now as are mine! Beatification , a NEW beer in the works , and the possibility of a straight Lambic ( Sonambic ) !!! I hope to follow up with Vinnie sometime in the future to see what they’ve discovered on how the temps are changing or not changing the beer. What is a horny tank exactly? I’m pretty sure it’s what RR is calling the coolship. If you look at the Beatification description from a few years ago when they were cooling it openly in the mash tun it says (“the beer has already sat “horny”). Looks like to me Vinnie is keeping with that term. Horny Beer in a Horny tank.